Kirby's Pools can help turn your backyard into a relaxing getaway. We believe that EVERYONE can have a pool, no matter how small or large your property is. Kirby's Pools provides everything for remodeling, repairing, designing and building pools and spas. Kirby's Pools is a Licensed Pool Builder in the San Francisco Peninsula, Contractor Lic. #C61 C53 #858963. Kirby's has been in business since 1980 building pools, spas, waterfalls, fountains, Koi ponds and providing major pool repairs and related services to residents throughout the Peninsula area including San Mateo County, Atherton, Woodside, Hillsborough, Belmont, San Mateo, Burlingame and everywhere in between. Owner Shawn Kirby has worked for two of the largest Northern California pool building and remodeling companies during his nearly 30 year career and he understands how important dependability, honesty and integrity is. For over 50 years Swan Pools has been creating living environments, with custom swimming pool designs as their centerpieces. As a swimming pool contractor, we work to understand our customers’ hopes and dreams, needs and passions. Then we design and build practical, elegant spaces that enhance their worlds. Our company has been planning, designing and building outdoor living and entertainment environments since 1979 in the San Francisco Bay Area. Chuck Baumann, the owner has been in the swimming pool industry for over 63 years in the East Bay Area. Internationally renown aquatic design, build and watershape consulting firm that provides swimming pool design, construction management and consulting services, both Nationwide and Internationally. Glass tile mosaics are their specialty. The founder and principal of the firm, Paolo Benedetti, has received international acclaim for his designs and attention to the smallest details. Whether your project is backyard remodel, a one of a kind scenic estate or a historic landmark in need of meticulous restoration, Paolo brings a passion to projects that has not been seen for centuries. Find out why pool contractors across the country retain the consulting services of Aquatic Technology to complete their complex projects and designs. Paolo Benedetti also offers expert witness services for pool related construction defect and workmanship disputes. PLEASE CALL ME TOLL FREE AT 1-800-440-1611 or email me at: info@aquatictechnology.com (The HOUZZ "contact us" messaging system is not reliable). Patrick Whisler has been in practice since 1987. He received his Bachelor of Science degree in Landscape Architecture from California State University at San Luis Obispo in 1986. His education included one year of study of Architecture and History of Architecture at the California State University at Florence, Italy. Mr. Whisler is a registered Landscape Architect. Mr. Whisler’s community service includes serving on a Marin County Design Review Board and Board for Lifehouse Inc. providing housing for people with developmental disabilities. Whisler Land Planning works closely with their clients and project team to facilitate creative and comprehensive design solutions and provides clients with integrated site design services. Whisler Land Planning takes pride in providing an efficient design service starting from the project concept development through the necessary municipal approvals and construction implementation phase of the project. Whisler Land Planning’s design solutions are not limited to specific styles but rather evolve from a creative process involving a thorough understanding of the project objectives, site context, and a continual exchange of ideas between the client and project architect. This along with our years of landscape design experience and knowledge of the outdoor environment consistently result in an enduring landscape.ct. We design and build custom swimming pools for the south bay and east bay. We focus on specialized engineering applications for all types of projects. We have been highlighted by luxury pool magazine for six years. We specialize in complete yard solutions & restorations with highly imaginative landscape design solutions for your home. Our construction team is experienced landscape contractor, fully licensed, insured and highly qualified. Our designer is a published artist with a Masters degree in art and over 35 years of landscape design and construction experience. If you are interested in good design and quality construction please give us a call. Aquamatic Pool Cover Systems, manufacturing the best safety and energy saving swimming pool and spa safety covers since 1980. Aquamatic has pioneered and patented the use of hydraulics in automatic swimming pool covers, and specifically all-fluid direct drive systems that have about 1/4th the moving parts of any other pool covers. Supported by the longest warranty in the industry, the Hydramatic is installed and specified by more professionals, builders and designers, than any other automatic swimming pool cover. Aquamatic has distribution and installation worldwide. Lightstreams Glass Tile designs and manufactures refreshingly original glass tile revered for its exceptional quality, unsurpassed optical brilliance, and mesmerizing beauty. Lightstreams Glass Tile is passionate to create glasstile of the highest architectural, artistic, and structural quality. Lightstreams Glass Tile is timeless, classic, and sustainable; engineered with proprietary USA manufacturing processes using only the finest, first quality American-produced raw materials. At first glance, Lightstreams Glass Tile is unmistakably glass. Lightstreams Glass Tile is an American company based in Santa Clara, California. Our exquisite, first quality USA manufactured iridescent glass mosaic tile is excellent as glass swimming pool tile, glass backsplash tile, glass shower, wall and floor tile. Swimming pool Construction/ Pool Remodeling and Renovations company, Gunite and Pebble Tec/ Plaster Specialists. We Build Pools, Spas, Water Features, Fire Features, Decks, Walls & More. 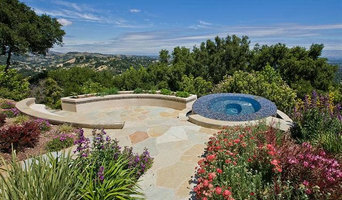 Lifetime Pools Inc is the premier swimming pool construction company serving the San Francisco Bay Area. Lifetime Pools uses the highest quality materials and equipment available and has been recognized many times over the years for our Design Excellence. Lifetime Pools Inc. is headquartered in Palo Alto, California. Marco Design Group has been designing and building complete resort type yards for 30 years. By holding B C27 and C53 licenses we deliver your dreams complete and turn key. Pete's Pools has been designing and building swimming pools and outdoor living spaces for over 25 years. Whether you want to design an entire outdoor living space or need assistance for a new pool or remodeling project, Pete's Pools is ready to help. With over 25 years of experience, we are your outdoor pool and patio experts! We have worked on a wide variety of custom projects, creating pools, spas, patios, outdoor kitchens, fire pits and much more. When you enlist our services, we guarantee your complete customer satisfaction. Our goal is to give you the best product for the most affordable price. If you are looking for a pool builder you can trust, contact Pete's Pools! What exactly do Hillsborough pool builders do? If you are planning for a new pool in Hillsborough, CA, a swimming pool builder will analyze your outdoor space and your aesthetic wishes to determine an appropriate design for your yard, installing it once the plan is developed and approved. Once installed, some pool companies in Hillsborough, CA can handle the necessary cleanings, water testing, renovations and equipment replacement or repairs for your pool or spa. If not, many can also suggest Hillsborough, CA swimming pool contractors or maintenance services to help with upkeep or repairs down the road. Here are some related professionals and vendors to complement the work of swimming pool builders: Garden & Landscape Supplies, Landscape Architects & Landscape Designers, General Contractors, Landscape Contractors, Solar Energy Contractors. Before hiring a swimming pool construction company to create your new Hillsborough, CA pool, determine how you'll be using it. Will it be for fun or for lap exercise? Will the primary users be children, adults or a mix of the two? Knowing the use can help you find Hillsborough pool builders who shares your aesthetic. Once you find swimming pool builders in Hillsborough, CA who share your style, research is critical. Review customer references and comments, collect at least three to four estimates to compare, meet with potential Hillsborough pool designers and builders in person and ensure that they are California certified service professionals and licensed with the registrar of contractors before making any final decisions. In addition, get a sense whether they plan to complete the pool installation and be done with it, or whether they seem interested in building a long-term relationship with you. Be wary of the former: it's likely a reflection on the level of quality of the pool construction they do. Find a Hillsborough pool contractor or designer on Houzz. Narrow your search in the Professionals section of the website to pool builders in Hillsborough, CA. You can also look through Hillsborough, CA photos by style to find a pool or spa you like, then contact the local pool company who designed it.